Please apply daily to lines around the eyes, mouth, and neck. 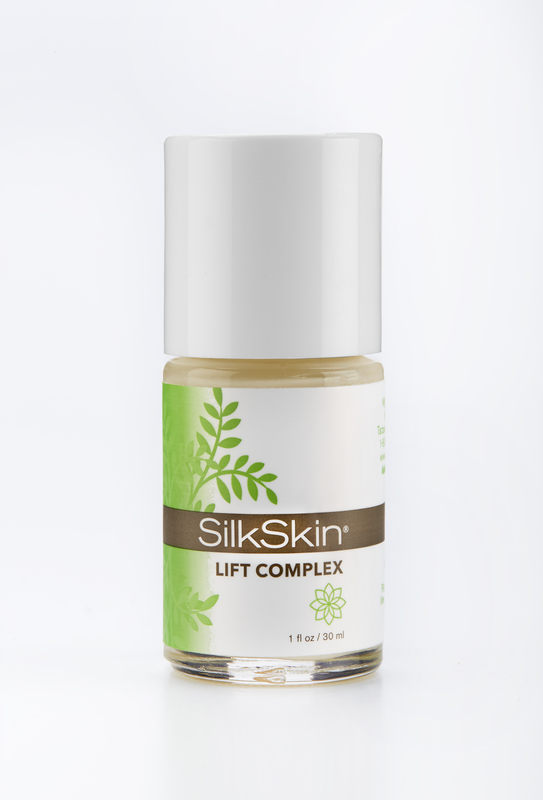 I am 69 years young and have no wrinkles around my eyes and I accredit that to the SilkSkin Lift Complex. The Lift Complex is fantastic! The Lift Complex is a wonderful product that I have used for years. My skin is blemish free and the Lift Complex is my skin’s secret weapon. I recommend it to everyone. I use the Lift Complex under my eyes before I apply makeup and have for years. There are no wrinkles or crows feet around my eyes and it’s due to using the Lift Complex. The Lift Complex works so well and I’m so excited it was part of the Holiday Promotion.